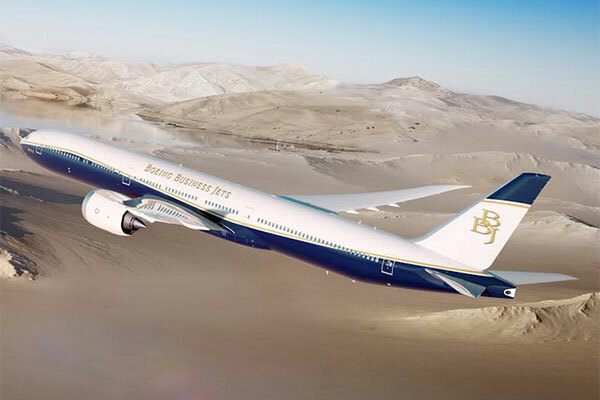 Boeing Business Jets said it is launching the BBJ 777X, a new Boeing Business Jet model that can fly more than half way around the world without stopping, farther than any business jet ever built. Customers can choose between two models: the BBJ 777-8 and BBJ 777-9. The BBJ 777-8 offers the longest range of 11,645 nautical miles (21,570 km) and a spacious 3,256 sq ft (302.5 sq m) cabin. The BBJ 777-9 provides an even larger cabin measuring 3,689 sq. ft. (342.7sqm), while still offering ultra-long range of 11,000 nautical miles (20,370 km). This model opens up almost unlimited interior design options to ensure ultimate comfort for long distance travel.